These food cutters add extra fun to your kids meals every time. My kids love when I cut their sandwiches and fruits into little shapes every time. These make an exciting holiday gift for your little ones! Right now you can enter to win 1 0f 6 funbites. They come in square or heart shaped. I have even heard that they are cooking up other shapes in the works. Want to win? Enter for your chance using the rafflecopter form below. Ends 11/30. Good luck!! I think it would be fun to use it for sliced melon…but I’m sure the fun possibilities are endless! The kids would probably try to use it on anything that can fit in it! I would use for my son. He starts kindergarten next year. I would use it to cut up my daughter’s PB&J sandwiches, she might eat more of them if they’re fun shaped. I would use it for my kids. I have two picky eaters and 1 that is getting ready to eat solids. I would use to make brownie bites! I’d use them to cut up sandwiches and make bite-sized brownies! I would use these for sandwiches. I would use it for my daughter;s sandwiches! She would love it! Thanks for the chance! This will help to make everything into bite sizes for my nephew who likes to shove the whole thing in his mouth. I think it would make appetizer skewers or any snack fun! Great giveaway! I’ve wanted to try Fun Bites forever! I would love to win this for my little guy.. Cute cutter, my son Would love his sandwich cut like this!!! I’m always looking for ways to make my kids lunches more exciting! This would help! I would use these for fruit, cookie, brownie, and sandwich bites… yummm! Fruit and sandwiches. If it would work for cookies, that too! I would use it on my 2 girls’ sandwiches. They would be excited to eat their sandwich if it has a design. I would make yummy treats for us as well as healthy snacks especially for my picky eater. I would use on sandwiches and everything that my daughter eats. Cute cutter, my son would love his sandwich cut like this!!! Thanks for the chance!!! Super cute. Would love to win this for my son!! I think these would be cute for my toddler! He would get a kick out of them especially because we are learning our shapes! I’d use it to make appetizers and grilled-cheese croutons for tomato soup! Sandwiches for the baby and toddler!!! Fun! I would use this to make fun-sized meals for my kiddos – bite -sized sandwiches, fruits, cheeses, etc. Is it strong enough to cut potatoes? My grandsons would like to use it when they play with “play -dough”. How fun! My son would love his Pb&J cut up like this in his lunchbox. I would cut cookies, sandwiches and fruits for my little guy!! These would be perfect for my daughter, who only likes to eat things in small bites. She’d probably get more out of the sandwich with these.. maybe she’d even eat the crust?! I’d love to use it on fruit and make them into fun bite sizes! This would be perfect for sandwiches and pancakes…my two little guys would love that they are more “their” size. love original ways to make meals fun..
would be great for adults too.. I would make jello cubes to make a stained glass dessert for the kids. They’d love it! Peanut Butter Sandwiches and cake. Sandwiches, cheese, fruit & jello. I would use it for kids’ lunch items like sandwich and fruits. This would be great for my daughter because it’d help my daughter to be more excited about foods she doesn’t normally eat. sandwhiches every day…my kids would love it. we have something like this that we use from time to time but it is only a boring old circle! this would be so much better!! I would use it to make little treats like mini cakes! 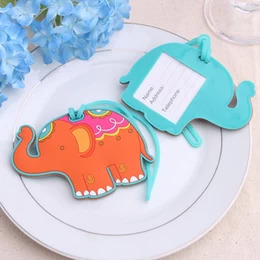 This would be awesome to use as cookie cutters for little tiny cookies! We have lots of little kids in the family and it would be cute for the holidays as well!! Even for sandwiches, cheese, and the list goes on and on!! Thanks for the chance to win!! I would use for my son and his preschool class. cool device, my grandsons would love their Sandwiches cut w/ it.